Since the early 1990’s, Wendy Johnson has developed tremendous business management skills as an Independent Business owner of several businesses. During Wendy’s Real Estate career, she received the exclusive ERA Prestigious Award and was rated in the Top 5 Realtors at ERA Jensen Realty. 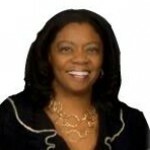 She left ERA and started her own Real Estate and Mortgage Company with her husband, Darrell Johnson. In 2004, as Vice President and Co-Owner of Elite Real Estate Group & Associates Mortgage, she gained experience in all areas of business development and a vast array of other skills required to operate a successful Real Estate, Mortgage and Escrow Company. Elite Real Estate Group became one of the premier black-owned Real Estate companies in the Inland Empire. Wendy has been a part of IVBCF, formerly our Vice President, since it was founded and enjoys having the opportunity to help other businesses grow and flourish no matter what state the economy is in. She believes in cultivating a network of mentors in her community by teaming like-minds together, for the success of everyone, competitor or not. Currently, Wendy is on the IVBCF Board of Directors.